Every case we handle is prepared for trial. We work to settle for maximum cost- and time- efficiency, but we are ready to fight for our clients. We are accustomed to serving people of all walks of life in pivotal legal matters. Often, we serve our clients as crisis managers. Most people do not expect or plan for serious legal challenges in life or in business. We aid people who are being sued, and we help others sue for compensation they rightly deserve. At Carluzzo Rochkind & Smith, P.C., our team is composed of aggressive, creative and steadfast litigators who are prepared and focused in all aspects of litigation. Our lawyers achieve top results with the backing of strong legal knowledge, hard-earned experience and thorough preparation. We offer our clients iron resolve. 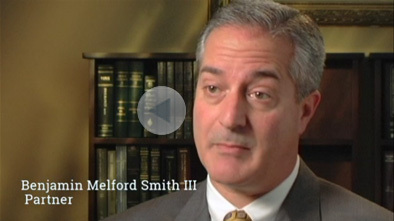 We have been in business for over 25 years, and our firm was founded by three highly successful trial lawyers. We handle all legal aspects of our clients’ cases, and we know what it takes to win. We have earned a reputation for helping our clients secure the settlements they deserve, winning multiple million-dollar and high six-figure settlements and verdicts regularly. Our team of Manassas-based attorneys works together and applies pressure to adverse parties on behalf of our clients. As a full-service litigation firm, we work in a variety of fields at all levels of court in Northern Virginia and the Washington, D.C., area. Our strength in the courtroom allows us to provide the constructive guidance necessary to serve the diverse needs of our clients. Since we are always prepared to fight aggressively at trial, we are often able to obtain more favorable settlements without going to litigation. Please contact us online directly, or call our office at 703-361-0776 for quick response. We handle personal injury cases on a contingency fee basis and offer personal injury clients a free initial consultation. Our lawyers know that the best results are obtained through knowledge, experience and preparation, and that is what we offer our clients. We strive to provide our clients with the cutting-edge legal knowledge they need. We welcome your feedback regarding our services. Founded in 1987, four former partners serve as judges in Prince William County courts, and another former partner is a judge in the Virginia Court of Appeals. Five of our attorneys have served as Prince William County Bar Association president, and we are dedicated to community service. 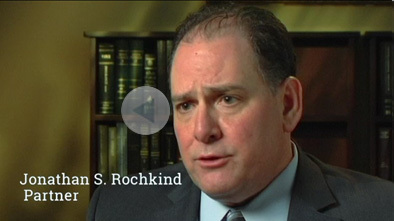 As a trial-centered law firm, we assess and develop every case from a trial perspective. Our strength in the courtroom allows us to provide the constructive guidance necessary to serve the diverse needs of our clients, since we are always prepared to fight aggressively at trial, we are often able to obtain more favorable settlements without going to litigation. Learn more about the representation our Manassas attorneys can provide by scheduling your initial consultation. We can be reached 24/7 by calling our firm at: 703-361-0776.